Waco, Texas. 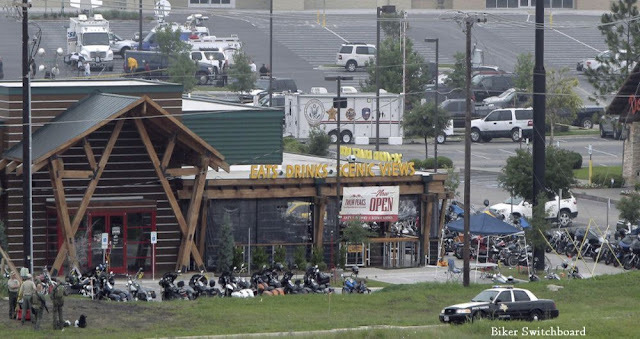 USA (April 2, 2019) BSB — Almost four years after nine bikers were killed and 20 were injured during a shootout at the former Twin Peaks restaurant in Waco, McLennan County District Attorney Barry Johnson said Tuesday he will dismiss all criminal cases against the remaining 24 defendants charged in the midday brawl. In announcing his decision, Johnson said it is time to "end this nightmare that we have been dealing with in this county since May 17, 2015." 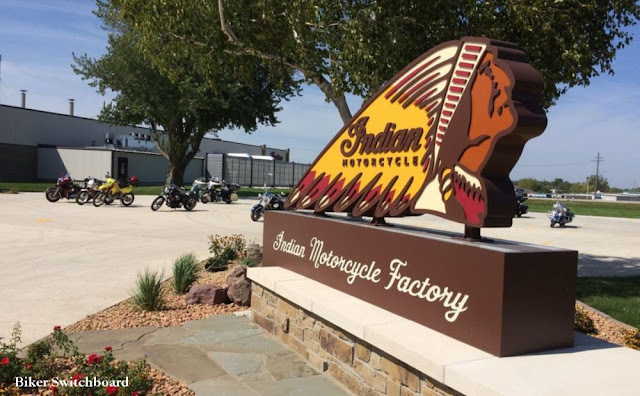 "There were nine people who were killed on that fateful day in Waco, Texas, and 20 injured, all of whom were members of rival motorcycle clubs, and the loss of life is a difficult thing," Johnson said. "But after looking over the 24 cases we were left with, it is my opinion as your district attorney that we are not able to prosecute any of those cases and reach our burden of proof beyond a reasonable doubt." Carrizal's case ended in mistrial in November 2017, with most of the jurors in his case favoring acquittal, and no other defendant has been tried since. The way Reyna handled the Twin Peaks cases was the centerpiece of Johnson's campaign, and he defeated Reyna in the March 2018 Republican primary by 20 percentage points. After the primary, Reyna dismissed all but 24 of the remaining Twin Peaks cases. The special prosecutors appointed to handle four of the cases after Reyna recused his office also were critical of the manner in which the cases were handled and dismissed them, also. Reyna sought to re-indict the remaining two dozen, mostly on riot charges. Other charges that may have been possible arising out of the melee, such as attempted murder, aggravated assault or felon in possession of a firearm, were barred by three-year statutes of limitation before Johnson took office, he said. "Following the indictments, the prior district attorney had the time and opportunity to review and assess the admissible evidence to determine the full range of charges that could be brought against each individual who participated in the Twin Peaks brawl, and to charge only those offenses where the admissible evidence would support a verdict of guilt beyond a reasonable doubt," Johnson said in a statement. "In my opinion, had this action been taken in a timely manner, it would have, and should have, resulted in numerous convictions and prison sentences against many of those who participated in the Twin Peaks brawl. Over the next three years the prior district attorney failed to take that action, for reasons that I do not know to this day," he said. "To open that Pandora's Box back up and start down that road again when we don't feel that, after looking at the facts and the evidence, that we would be able to meet our burden of beyond a reasonable doubt would be irresponsible, in my opinion. 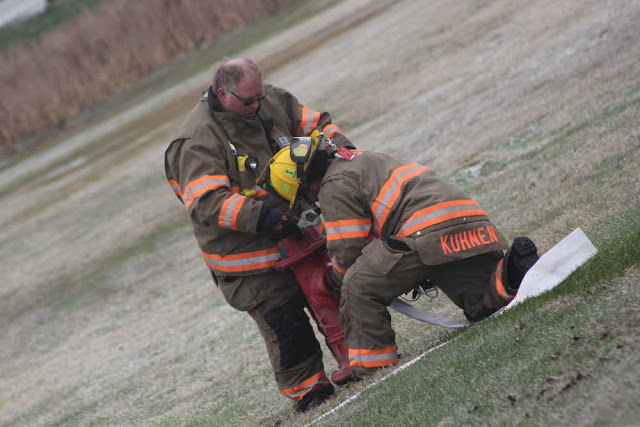 Therefore, I am making the decision now to end this nightmare that we have been dealing with in this county since May 17, 2015," Johnson said. Dallas attorney Don Tittle represents about 120 of the bikers in their civil lawsuits. Bandidos who cases will be dismissed include: Ray Allen of Krum; Jeff Battey, Ponder; Jacob Carrizal, Dallas; John Guerrero, San Antonio; David Martinez, Terrell; Tom Mendez, San Antonio; Marshall Mitchell, Longview; Jerry Pierson, no address available; Marcus Pilkington, Mexia; Glenn Walker, Copperas Cove; and Reginald Weathers, Forney. Cossacks with cases set for dismissal include: Mitchell Bradford, Gordon; Aaron Carpenter, Gatesville; Roy Covey, Clifton; William Flowers, no address available; Rich Luther, Cossack; Wesley McAlister, Gilmer; Jacob Reese, Mount Pleasant; Owen Reeves, Bruceville; Timothy Satterwhite, Gordon; and Kyle Smith, Kilgore. 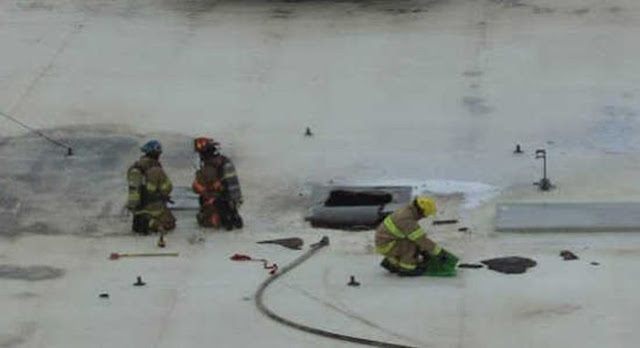 Others whose cases will be dismissed include Richard Cantu, a Machateros from San Antonio; Nathan Champeau, a Scimitar from McKinney; and Richard Lockhart, a Companero with no available address. It happened Wednesday evening, not far from Manual High School. “Great sunny day so I decide to go for a quick, small ride,” Yaconni later recalled in a Facebook post. 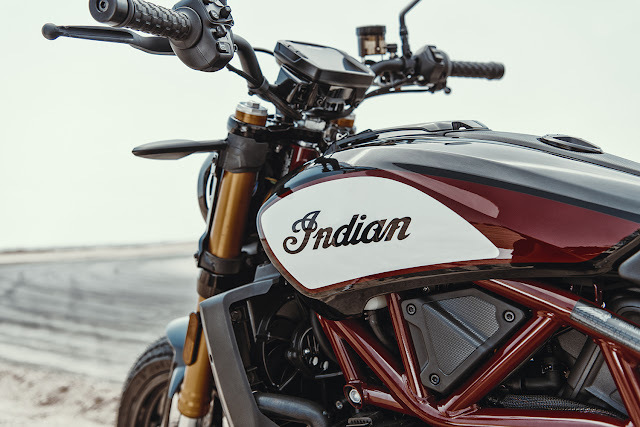 From his motorcycle,Yacconi noticed a problem with a Lyft driver’s car and helpfully let him know. “You got a break light out on that side,” Yaconni told the driver. “Thank you. Alright," the driver responded. 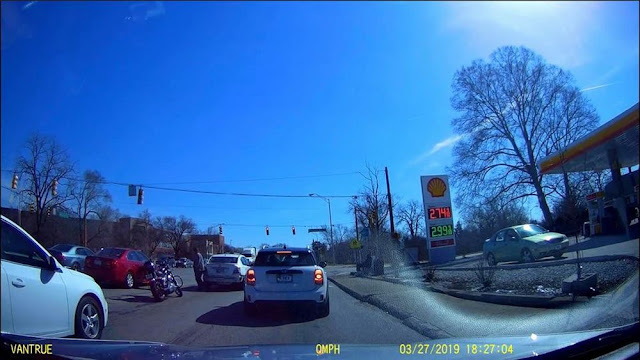 Yacconi recounts: "The guy behind me was laying into his horn, came close to rear-ending and sideswiping me as he goes around and gets in front of me.“ Then, at the next red light at Madison and Pleasant Run, “I’m still behind him and I asked what his problem is. He stormed out of his car. I get off my bike I ask him what his deal was. All I was doing was helping another guy out by telling him he had a taillight out. Next thing I know, I get double-punched by him wearing two brass knuckles. Yaconni, a U.S. Army veteran, was left with serious jaw injuries. He's in "a lot of pain" according to family. Yaconni followed the Lyft driver to get his dash cam evidence. He later posted that the Lyft driver said he “does not know how I am still conscious.” He decribed the road rage vehicle as “junky,” a white car missing the rear bumper. Yaconni is still hospitalized, a long road ahead in healing the broken jaw. Family and friends want justice for the victim. If you have information about the incident, you're asked to call IMPD or Crime Stoppers at (317) 262-TIPS. 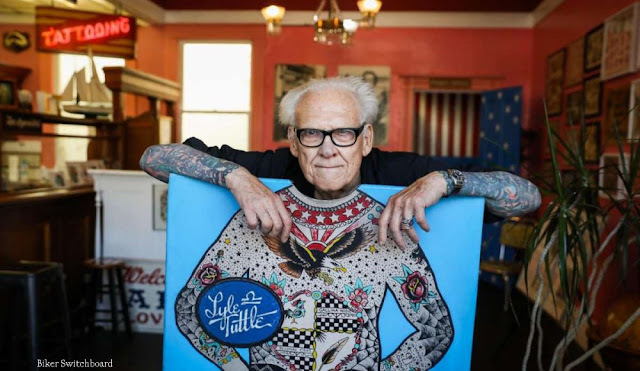 San Francisco, California , USA (March 26, 2019) BSB — Lyle Tuttle was known as the “father of modern tattooing” and a revolutionary protagonist in the history of tattooing has died. He was born in 1931 and grew up in Ukiah, California. 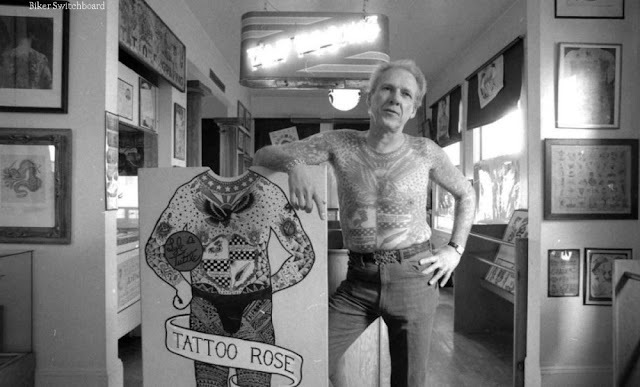 He had been tattooing since 1949. At the age of fourteen he purchased his first tattoo for $3,50. He has been working for Bert Grimm and has been tattooed by him. 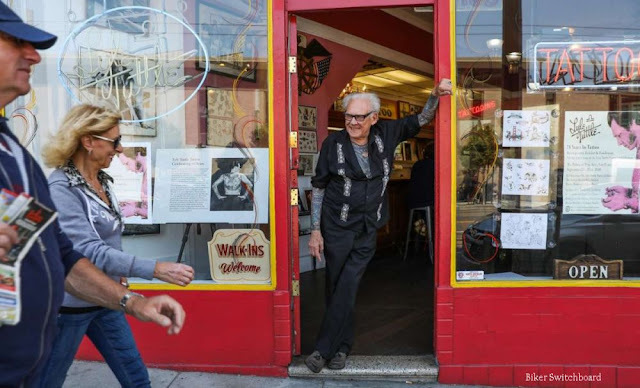 His first shop was open in San Francisco for 35 years. He has tattooed on all seven continents and has become a legend within the industry. Mr. Tuttle tattooed Janis Joplin, Cher, Jo Baker, Henry Fonda, Paul Stanley, Joan Baez, the Allman Brothers and many, many other notable musicians, actors, and celebrities. He officially retired in 1990 but he did occasionally tattoo his signature on a friend or acquaintance.